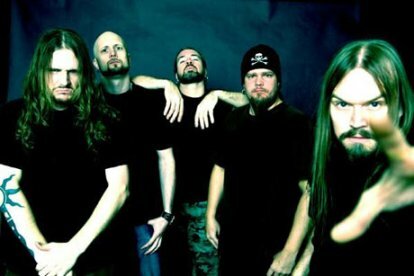 THE METAL ADVISOR: New Meshuggah Track: "Break Those Bones Whose Sinews Gave it Motion"
New Meshuggah Track: "Break Those Bones Whose Sinews Gave it Motion"
Okay, yeah, I've never liked Meshuggah much because their music plods, but I still think posting the new track is worthwhile no matter how late I may be to the party. "Break Those Bones Whose Sinews Gave it Motion" was intentionally leaked early last month, and it appears to have gotten a decent response from everyone besides myself. But you shouldn't be phased just because I find Meshuggah dull. Most people will find something redeeming about them. My bad for posting it so late!